FLOW for All (The Forces Literary Organisation Worldwide - Patron Dame Vera Lynn) is dedicated to offering assistance to those who have suffered from the effects of war, especially the suffering shared by servicemen and women, their relatives and their friends. The poems in this anthology are the 70 winning entries in the 2009 FLOW for All poetry competition. Last year Forces Sweetheart Dame Vera Lynn agreed to become FLOW for All's official patron, and spoke movingly at the launch in Brighton of the organisation's first poetry anthology Voices of the Poppies. The poems in this anthology are the winning entries in the 2009 FLOW for All poetry competition. 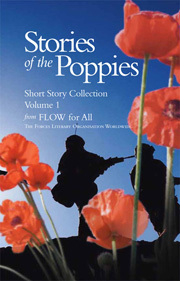 FLOW (the Forces Literary Organisation Worldwide) for All is dedicated to offering assistance to those who have suffered from the effects of war, especially the suffering shared by servicemen and women, their relatives and their friends. Proceeds from the sale of this book will be used to support the work of FLOW for All, helping them to become a registered charity and to employ counsellors for those in need of care and support. Our first competitions were opened in April 2009 and ran for four months. Two competitions ran alongside each other – one accepting submissions of poetry, the other short stories. We received a consistently high standard of entries covering a range of subjects, and all entries were posted on either Forces Poetry or Forces Stories. There were no official judges; stories and poems were selected for the published collection in the most democratic way – by encouraging all visitors to vote for their favourite story or poem. The top seventy poems made it into 'Poems of the Poppies' and the top twenty stories are to be published in 'Stories of the Poppies'. Reading the entries, visitors to the forums met a wonderful cast of characters and nationalities, spent time in a variety of locations and eras, and experienced an array of emotions. 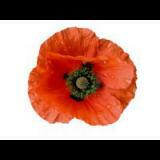 Some poems were uplifting, some touched on conflict and war, others reflected on loss and human dignity. Poets had written from their hearts, and this gave them the ability to reach out and touch the hearts of others. Congratulations to the seventy poets whose work makes up this year's wonderful anthology.